(91outcomes.blogspot.com) - Hawaii's state Disabled American Veterans (DAV) is focusing on Gulf War veterans' unexplained illnesses during the organization's annual state convention from June 12-14, 2009. An article in today's Honolulu Advertiser provides details of the conference. They are particularly concerned, over the government's response to Gulf War veterans suffering unexplained health problems. Hawaii's DAV will, according to the article, develop and provide resolutions for the DAV's national convention. The convention will be held in Wailua, Hawaii from June 12-14 at the Aloha Beach Hotel on Kaua'i. 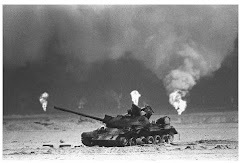 is gulf war syndrom caused by the anthrax vacinations? 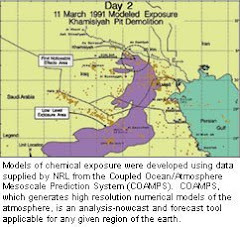 While there are numerous cases of vaccine injury caused by the Anthrax vaccine, only a limited number of Gulf War troops ever received the Anthrax vaccine. Of the 175,000 to 210,000 Gulf War veterans suffering from Gulf War illness, many never received the Anthrax vaccination. Additionally, the comprehensive survey of published scientific studies by the Research Advisory Committee on Gulf War Veterans' Illnesses found that the Anthrax vaccination was not the cause of the chronic multi-symptom illness found in so many Gulf War veterans. However, the vaccination injuries suffered by a significant minority of Gulf War era troops who received the Anthrax vaccination are also very real.